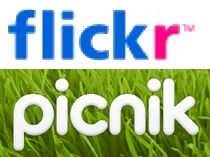 TechCrunch is reporting that Flickr has tagged Picnik as it’s official and integrated photo editing service. Soon, Flickr users will have a “edit photo” button on photo pages, which will then launch the photo in Picnik’s flash-based photo editing software. Free account users will have the edited photo added to their photo stream, while Pro users will have the edited photo replace the original. Photo rotation was a welcome addition a while ago, but full editing capabilities will be awesome, especially for casual photographers who use Flickr as more of a personal blog than professional portfolio. I haven’t tried Picnik yet, but it looks like I’ll be using it soon enough.